So far our blogs this week have focused on the present – setting up your business, creating a plan and writing a mission statement. But now let’s fast forward to the future. As a small business owner, how are you saving for retirement? Do you have a plan? According to a recent 2017 study, one-third of small business owners don’t. With retirement, time is your best friend, so put together a savings plan as soon as possible. What are your retirement expectations? 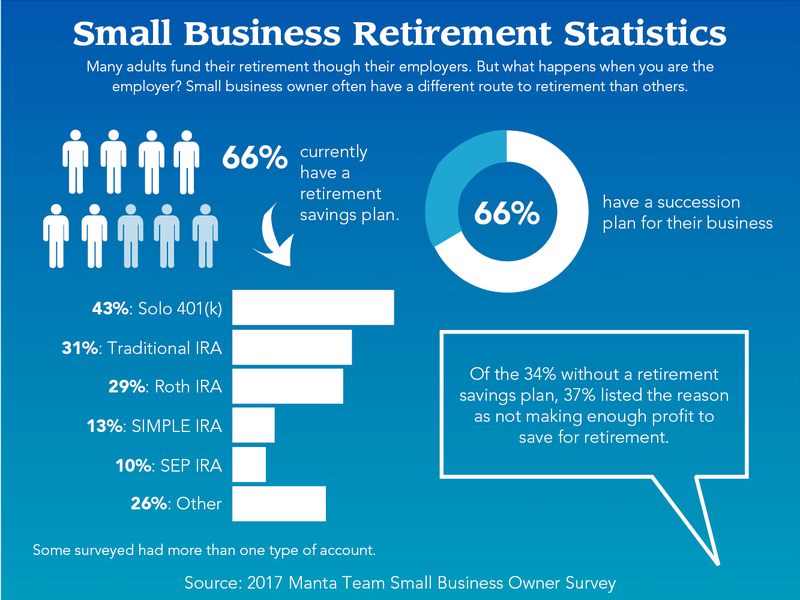 Typically, small business owners turn to three options when it comes to funding their own (and their employees’) retirement. Each provide tax benefits and the right plan can be an effective way to plan for retirement. 1) SIMPLE IRA: A Savings Incentive Match Plan for Employees IRA is only for businesses with 100 employees or fewer. As the owner, you would set up IRAs for both yourself and any employees. Keep in mind that you cannot have any other retirement plans if you decide to use a SIMPLE IRA. Both you and employees are allowed to contribute to the accounts with this kind of account, and any contributions you make as an employer are tax deductible. For employees, contributions are before taxes. 2) SEP IRA: Another option is a Simplified Employee Pension IRA. This type of plan works for both the self-employed and those who own a business with employees. Accounts can be set up for yourself and any employees you might have. SEP IRAs are tax deductible and contributions can be categorized as a business expense. Generally, SEP IRAs allow for larger contributions than a SIMPLE IRA and offer more flexibility, but have stricter rules to abide by than a SIMPLE. 3) Solo 401(k): Finally, a self-employed 401(k) covers those who are self-employed or who only employ their spouses. Businesses with employees cannot have this account. With this plan, you can contribute as both the employer and employee. Do you want to retire early? Or, do you plan on working as long as you possibly can? Maybe you have a spouse or health issues that will need to be factored into your retirement goals. While your business continuation plan might be a large part of your retirement plan, it’s also important to have a strategy in place now. Business valuation: How much is your business worth? Succession planning: Who will take over? When planning your exit, you essentially have two choices – to give away or sell your business. You can sell your business outright at any time between now, retirement or even at your death. If you’re planning on selling your business to help fund your retirement, plan to have some flexibility about when you’ll sell, so you can take advantage of the best market conditions possible and sell at a premium. Or, you can pass your business on to someone such as your children. While you can leave it in your will, passing it on during your lifetime may provide you some personal and potential tax benefits. There is a third option, liquidation, which might be right for some business owners, but is often the result of lack of planning or a forced sale. Once you’ve determined a timeline for your retirement and some baseline expectations, talk to a financial advisor. 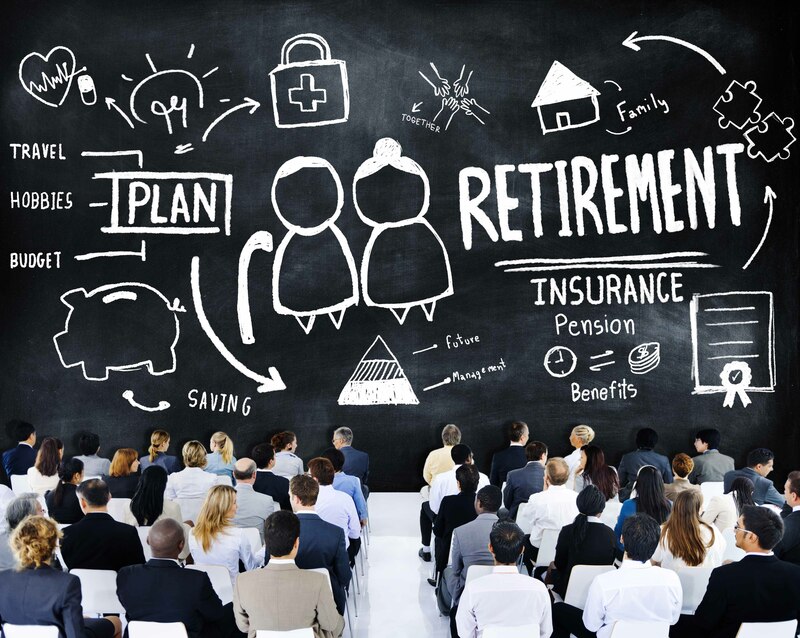 Based on your exit strategy and goals, they can help you figure out what to do now to put yourself in the best position to achieve your retirement dreams. Looking for a financial advisor and don’t know where to start? Contact one of our local trust officers today. This does not include federal insurance programs such as Federal Crop Insurance. Central National Bank does not provide tax, or legal advice or recommendations. The information presented here is not specific to any individual’s personal circumstances. To the extent that this material concerns tax matters, it is not intended or written to be used, and cannot be used, by a taxpayer for the purpose of avoiding penalties that may be imposed by law. Each taxpayer should seek independent advice from a tax professional based on his or her individual circumstances.